Connect Services is a Brisbane-based Communications Contractor group, providing fibre optic & copper services for a variety of project sizes for local and national clients. Our primary business is providing these services for medium to large scale projects by utilising our specialised Construction and Projects Team; and our Client Services Team are the experts in small to medium size projects, state and national rollouts. Everything we do is aimed at improving the way your business and premises operate. We are committed to helping you become more successful through increased efficiency and lower cost, which will go a long way towards improving your life and in turn, the lives of the people around you. We do this by making you the centre of what we do. We differentiate ourselves from the multitude of other contractors by offering end-to-end solutions and not calling ‘tools down’ until we have resolved all your communication related issues. Our promise of quality and excellence in customer delivery is matched only by our commitment to continued innovation and training, to ensure your experience is at the core of what we do. Our continued growth is due to the combined expertise of our people. Our experienced personnel are the cornerstone of the business and they are committed to delivering all our activities with an uncompromising approach to safety. We provide a 24-hour service to the commercial, industrial and construction industries, providing rapid and efficient services including alterations, additions, breakdown support and preventative maintenance. Connect Services offers the unique combination of management and supervision from Tier 1 contractors combined with the personalised interaction and delivery strategy you would expect from a local contracting business. 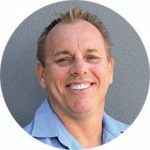 Richard is the owner and managing director of Connect Services and has been successful in business for over the past 20 years. Richard is dedicated to time-effective and cost-efficient outcomes which surpass client expectations, and is focused on building trust-based, long-term relationships with those clients. This has seen Connect Services develop from a one-man Contractor into a commercially successful business, which has been responsible for the installation of some of the world’s most advanced equipment. While still maintaining the relationships built with clients from Connect Services’ early days of operation, Richard is constantly driving his company to improve and grow.